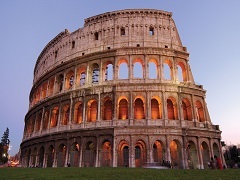 Arrive International Airport Rome and transfer to Hotel . Day is free for your own. After Breakfast check out from the hotel and transfer to Rome Aiport for your flight to Naples. Arrive Naples airport and transfer to Hotel. Positano is the Amalfi coast’s most picturesque and photogenic town, with vertiginous houses tumbling down to the sea in a cascade of sun-bleached peach, pink and terracotta colours. No less colourful are its steep streets and steps lined with wisteria-draped hotels, smart restaurants and fashionable boutiques. Overnight at Postiano. After Breakfast day is free to explore Positano yourself. After Breakfast check out from the hotel and transfer to ferry terminal for your High speed boat to Capri. Arrive Capri and transfer to Hotel. 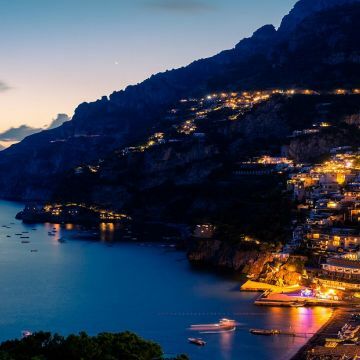 Capri, an island in Italy’s Bay of Naples, is famed for its rugged landscape, upscale hotels and shopping, from designer fashions to limoncello. One of its best-known natural sites is the Blue Grotto, a dark cavern where the sea glows electric blue, the result of sunlight passing through an underwater cave. Overnight at Capri. 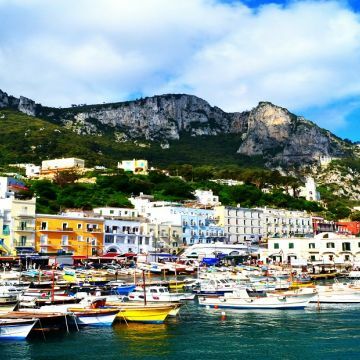 After Breakfast day is free to explore Capri yourself. Check out from the hotel and transfer to ferry terminal for your High speed boat to Naples. Arrive Naples and transfer to train station for your train to Florence. Arrive Florence and transfer to Hotel. Florence, capital of Italy’s Tuscany region, is home to many masterpieces of Renaissance art and architecture. Stand on a bridge over the Arno river several times in a day and the light, mood and view changes every time. Florence is magnetic, romantic and busy. After Breakfast Full day city tour of Florence . Visit All Florence in one day by Bus. 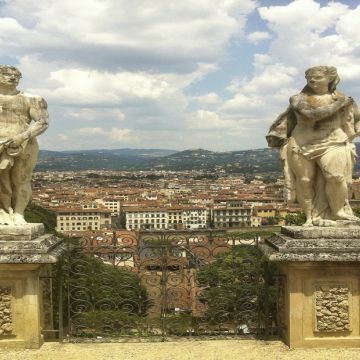 A drive up to Piazzale Michelangelo, Santa Maria del Fiore, the Gallery of the Accademia, a drive up to Fiesole, Santa Croce and the Gallery of the Uffizi. Overnight at Florence. After Breakfast time is free for shopping. Transfer to Train Station for your train to Venice. Arrive Venice and transfer to Hotel. Venice, the capital of northern Italy’s Veneto region, is built on more than 100 small islands in a lagoon in the Adriatic Sea. 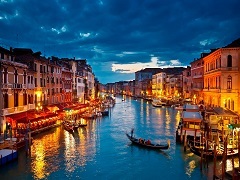 It has no roads, just canals – including the Grand Canal thoroughfare – lined with Renaissance and Gothic palaces. Overnight at Venice. After Breakfast Enjoy Walking Tour of Venice Have a walk outdoors through the most characteristic and important place for the history of Venice. Visit The Doge’s Palace : A special tour to discover the masterpieces of Palazzo Ducale. The Palazzo Ducale represented for centuries the seat of the Venetian political power. In his splendid rooms, plastered and immersed in hundreds of masterpieces of painting. You’ll be surprised of the rich details of the gold staircase, of the realism of the scenes depicted by many artists who have decorated this building, you will relive the anguish of the prisoners crossing the famous Bridge of Sighs, and entering the Venetian prisons, famous for hosting Giacomo Casanova. An unforgettable tour not to be missed!. Visit Golden Basilica : A guided tour in one of the most majestic cathedrals of the world. On this tour enjoy a full visit of this masterpiece of byzantine art, unique of its kind in Italy, you'll have the pleasure to admire beautiful gold mosaics and marble inlays of the floors, the history and the particularities of this ancient basilica. Admire The Pala D'oro, exquisite example of the byzantine art with its thousands of gems and precious stones; enjoy the view of the Treasury, a splendor of the religious art collected along the centuries. In the evening enjoy Gondola Serenade : With this excursion you can see Venice from a different perspective, and take part of its magical atmosphere. 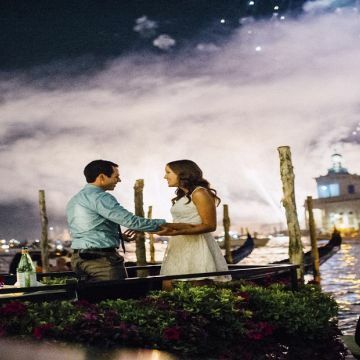 Gondolas accompanied with local musicians float along the fascinating Gran Canal: the glittering images of the sumptuoses palaces in the water will remain forever in your memories. Overnight at Venice. Transfer to Train Station for your train to Rome. Arrive Rome and transfer to Hotel. Overnight at Rome. 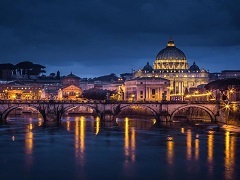 After Breakfast enjoy the day tour of Vatican Museums, Sistine Chapel, and St. Peter’s Basilica, skipping long entrance lines. Upon arrival, your guide will lead you into the museums, where you’ll visit one of the most important art collections in the world. Admire the Gallery of Tapestries and the Geographical Maps before arriving at the famous Sistine Chapel and the unforgettable Basilica. Overnight at Rome. After Breakfast day is free for your own for shopping. 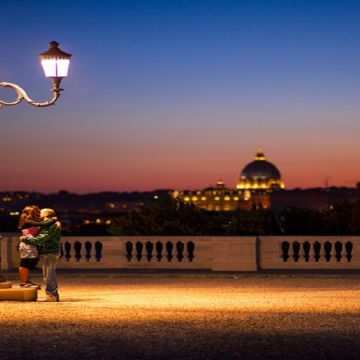 After Breakfast transfer to Rome Airport for your flight back to your home with happier memories.